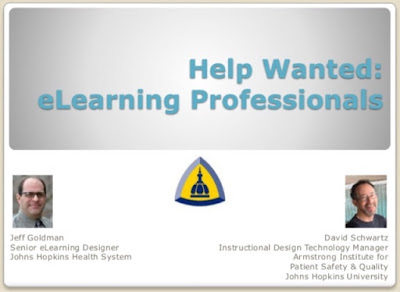 Several weeks ago at the Devlearn conference, David Schwartz and I presented a session on hiring eLearning staff. Below is a link to our presentation, now available on Slideshare. I also added a link on the last page to the presentation's related resources, which we think are very helpful to anyone searching for a quality eLearning professional. If you were not able to attend Devlearn, but would like to access other presenters' slide decks and resources, the eLearning Guild makes them available to all at Devlearn16.com/resources. 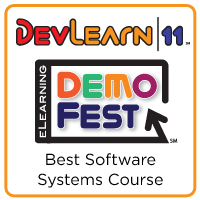 I am on my way to the DevLearn Conference next week - As always a great time and plenty of valuable sessions. This year I plan on attending numerous mLearning sessions, which look perfect for anyone looking to delve further into delivering mobile learning, like me. I will also be speaking again. This year I am excited to be co-presenting with my colleague, David Schwartz. Our topic is on how to find, hire and keep quality eLearning professionals. If you will be at DevLearn, stop by and see us. We will be on the Strategic Solutions learning stage in the conference's Expo Hall. Over the years, I have written my share of posts about working with SMEs. However, there is no single, perfect approach to working with SMEs since they differ as well as each project differs. In my latest attempt to making the process a bit easier, I have created a document that explains to SMEs and stakeholders my process of creating courses and their role in this process. I always take the time to explain this process and the expectations for the SMEs and reviewers, but from my experience, they don't always retain all the finer details and sometimes misinterpret their responsibilities. So I wrote this up, which gives my SMEs and all other stakeholders involved a better understanding of my process. Hopefully, you too will find it useful when working with your stakeholders and maybe also see how I approach working with mine. A link to the doc is here. Feel free to adapt it for your use. Any input on how it can be improved is always welcome too. FYI: It has been a while since I have written a post on my blog, but it being Work Out Loud Week, I thought it would be a good time to share this and blow the dust off this old blog.